Sometimes I put my foot in my mouth. Upon reflection, I’m a little embarrassed by a question I asked Bill George, author of the new and updated version of, Discover Your True North. Bill is the former CEO of Medtronic and professor of management practice at Harvard Business School. During his 10 years at Medtronics the company grew from $1 billion to $60 billion in market capitalization. Warren Bennis passed on July 17, 2014. Gergen asks, “Well, who will now carry on Warren’s work?” Gergen answers his own question by writing, “With the publication of his sixth and most important book, Discover Your True North, we may well have our candidate: Bill George. In essence, I asked Bill George about allowing David Gergen to put him in a category with Peter Drucker and Warren Bennis. My goal, when I interview leaders, is gaining insights, not poking them. Bill’s response was simple and profound. Praise is tougher to manage than adversity. Adversity tends to humble us; praise, taken poorly, inflates us. There was no hesitation in Bill when he responded to my question. He candidly said that he was taken back and spent time thinking about Gergen’s comments. False humility is arrogance, but gratitude in the face of praise reflects humility. I’m thankful for the opportunity to talk with Bill George. He left a lasting impression on me. I highly recommend, Discover Your True North. What leaders have made a big impression on you? How? *David Gergen is an American political commentator and former presidential advisor who served during the administrations of Richard Nixon, Gerald Ford, Ronald Reagan, and Bill Clinton. He is currently a Senior Political Analyst for CNN and a Professor of Public Service and Co-Director of the Center for Public Leadership at the Harvard Kennedy School. Gergen is also the former Editor-at-Large of U.S. News and World Report. (Source). 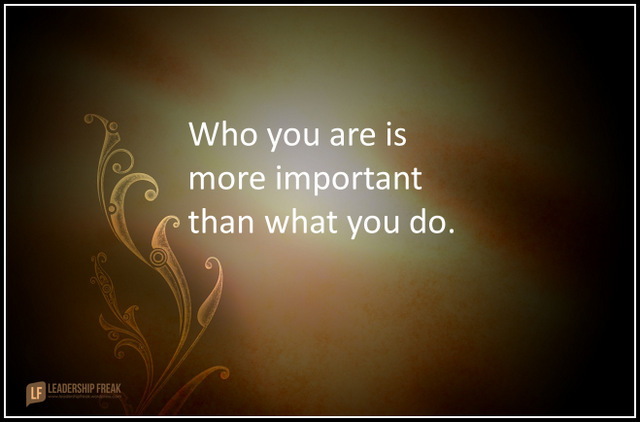 This article was originally posted 8/17/15 on Leadership Freak.